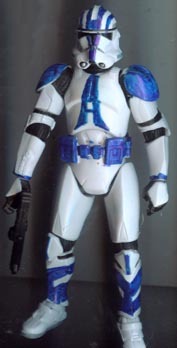 Even though Clone Troopers were supposed to've become all white after the rise of the Empire, fan love of squad colors seems to have overridden that idea. Not only did the 501st apparently keep their colors, but they began to make them even more individualized. 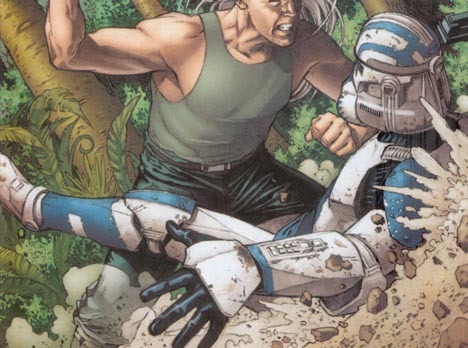 This is one of the 501st who was stationed on New Plympto, who soon met an untimely demise. Rather then start with a 501st figure and make changes, I used a white Saga Legends Trooper as a blank canvas.